Shuang Shuying, a 77-year-old Beijing resident, was sentenced to two years in prison this February for defending human rights and insisting on practicing her religion. Already in poor health, Shuang endured severe torture whilst incarcerated, causing her weight to plummet from roughly 110 pounds down to just 73 pounds. Shuang has also lost her vision while serving her sentence, leaving her unable to recognize her visiting son. She was left to rely on her limited hearing to communicate. Shuang's father, Shuang Deli was executed for being an anti-revolutionary in 1949 when the Chinese communist regime took power and confiscated the family's property. The family was made to witness his death. Before the family was able to claim the body, they had to pay for the bullet. History seemed to repeat itself following Shuang's first marriage, as her husband was sentenced to 20 years in a labor camp for being an anti-revolutionary. 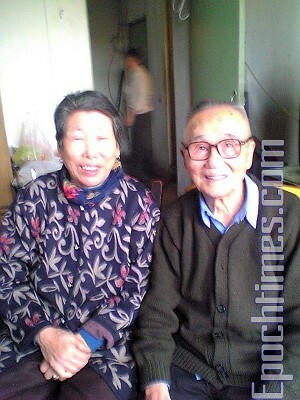 To extricate her from the poverty brought about by having her assets taken and family members imprisoned, Shuang married a man named Hua Zaichen. The couple had two boys and one girl. In 1957, Hua was also sent to a labor camp and imprisoned for 20 years. Shuang was forced to raise the children without a father. During the Cultural Revolution, officials demanded that she divorce her imprisoned husband, but Shuang refused. For her disobedience, Shuang was beaten while hanging naked from a pillar by local authorities and made to kneel on a triangular frame. 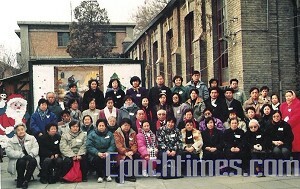 Shuang's son, Hua Huiqi, became a Christian in 1990. Because of his involvement with the church, he was often followed and beaten by police. Shuang worried about her son's safety, so she accompanied him to his church. Shuang began to learn about Christianity and was later baptized in 1992. Since then, Shuang turned her dwelling into a boarding house for fellow Christians who came to Beijing appealing for their rights. Her service attracted police surveillance and continued harassment. Because Shuang's house was very close to Tiananmen Square, officials viewed at as a politically defiant dwelling. When Beijing authorities won their bid to host the 2008 Olympic Games, they dismantled Shuang's home claiming that it hurt the “New Beijing, New Olympics”—the slogan chosen for the Games. The family was transferred to another suburb and detained in a facility known as “Guanjiakeng.” The police supervised the family 24 hours a day, and frequently beat them. Shuang and her son were beaten by police at the Asian Games Village when they reported the forced demolition of their home before the Beijing People's Representatives Conference. The complaint cost Shuang's son six months secret imprisonment by the Beijing Security Bureau Chaoyang Branch. Shuang and her husband were also detained when they demanded their rights and appealed for their son's release on February 9. The couple was arrested and convicted for “purposely destroying public and private property.” They were sentenced to two years and fined 5000 yuan (US$662) on February 26. Shuang was detained at both the Labor Camp of the Chongwen Branch of Beijing Public Security and the Beijing Women's Prison. During her stay, she was injured both physically and mentally as she was not allowed to sleep until 12:00 p.m. every day even though she suffered from serious hypertension, diabetes, cataracts and neuralgia. Her family members were not permitted to see or offer support of any kind, and were not approved for a visit until five and half months into her sentence. Hua said that his mother was tortured nearly to death , and was now emaciated—her hands trembled, her face pale, her vision growing worse. Hua revealed that the Beijing authorities held his mother hostage. Hua said that when he was in prison, Meng Zhuang, the officer in charge of religious issues at Beijing's Public Security Bureau, forced him to cooperate with police and forbid contact with his fellow church goers and boarders who were staying at his house appealing in Beijing. “Your mother will not be set free if you refused to co-operate with us,” threatened police. On July 25 Hua was released. One week later, Meng Zhuang came to the house and forced Hua to cooperate with officers by spying, providing the vital contact information of the individuals staying at his home. 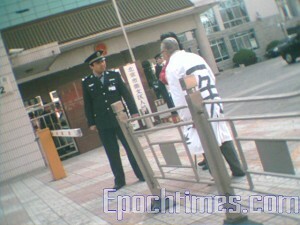 Meng Zhuang enticed Hua by promising him that he could visit his mother in prison if he cooperated. “Your mother could be released anytime with just one word from our chief,” said Meng. When Hua refused, Meng threatened him again. “You will never see your mother again if you refuse to cooperate with authorities,” he said.